As part of my on-going effort to learn more about tarot, I draw a single card every morning after my journaling session as my “card of the day.” The deck I’m currently using is the Gilded Tarot, and I noticed on our last trip that the zipper on the small bag I have been using to house it had broken. 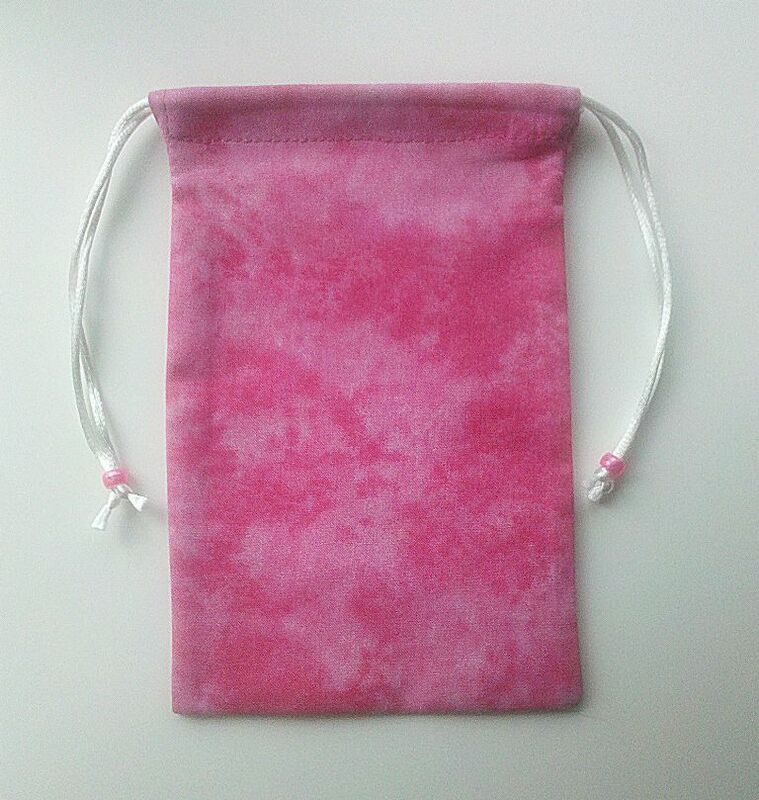 Yesterday, I got out of work a little early, so I headed over to Serenity Now in Palm Harbor to get a replacement bag similar to the one above (one of many available on-line from this vendor). If you’ve never been to Serenity Now, it’s a wonderful little shop on Tampa Rd, near U.S.19, and a great place to buy much more than you had originally intended when you walked through the door. I give as proof, the following additional purchases, each absolutely necessary for me to have at that particular place and time. I have a small mala I keep in small bag (much like the one at the top of the page, but blue) that mostly lives in my purse. I have been wanting one to keep on my nightstand. 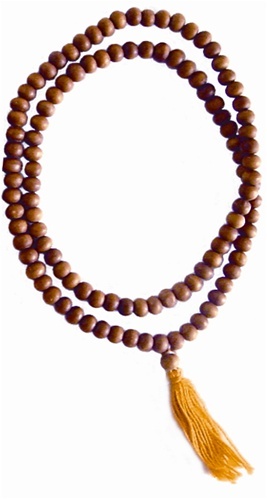 I found this one made of sandalwood beads. It feels and smells really nice. During my morning writing, I sometimes like to burn scented candles as an aid to concentration. 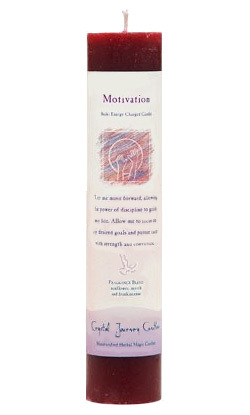 Serenity Now sells these “Reiki energy charged” candles in different colors, scents, and energy charges. This one purports to be charged with the energy of Motivation. It also smells very nice with its noted blend of sunflowers, myrrh, and frankincense. These “Prosperity and Abundance” earrings from Seeds of Light (I also have one of their very nice selenite pendants) are made with emerald, citrine, peridot, amythyst, and Austrian Crystal beads. According to the card they were mounted on, “Emerald and Citrine complement each other by attracting prosperity and abundance in all things. 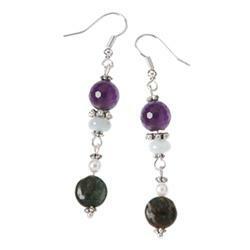 Peridot opens up new doors of opportunity and Amethyst awakens our psychic ability and intuition allowing the prosperity to flow in.” All that in a little pair of bright and shiny earrings I’d wear anyway just ’cause they’re so pretty! I’d checked Louise Hay’s classic You Can Heal Your Life from the library sometime last year and after reading it, decided I wanted a copy of my own. Yesterday was the day for it, too. And last, but not least, Guardian Angel Spray from The Crystal Garden, Inc., a spray scented with essential oils to help us remember that guardian “Angels of Love and Light” are always surrounding us. The bottle I purchased actually had an extra label noting that it was additionally infused with the energy of Archangel Chamuel, of whom I had never heard until that moment. The shop’s owner, Brooke, directed me to an article by Doreen Virtue in the current freebie mag at the front of the store, that talked of Chamuel being the angel who helped people find that things they need to find. Since “lost in my house” is a term well-known to all my friends, I decided to continue with my Fiesta of Suspension of Disbelief and go with this, too. This morning in the bright light of day, I do not have buyer’s remorse for any of these wonderful things. I haven’t balanced my checkbook, yet, though…..